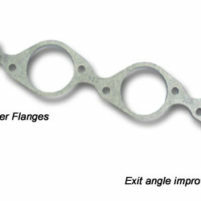 RMRE manufactures several header flanges for both small block and big block Chevrolet cylinder heads. 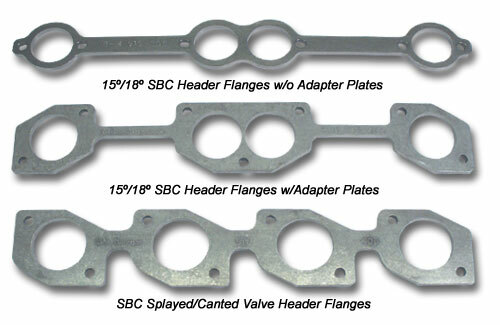 These flanges are CNC machined from 5/16″ thick mild steel to provide a proper fit. 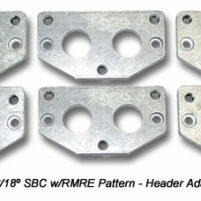 They are available for several different SBC heads and various primary tube sizes for use with and without adapter plates. 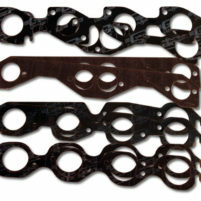 Racers switching from standard SBC heads to say 15°/18° SBC cylinder heads can save their old headers. You simply cut off your old flanges and weld the RMRE 15°/18° flanges to your old headers.